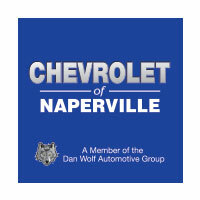 Because there isn’t a very good chance gas prices are going to be going down considerably anytime soon, Chevrolet of Naperville is ready to serve you with a bunch of cars that get around 30 mpg in Oswego, IL. An example of one of these fuel saving cars that gets about 40 mpg is the 2016 Chevy Sonic in Oswego, IL. The Chevy Sonic is a prime example of what the compact car market in our area has become. It is functional, has a modest manufacturers suggested retail price and, above all, is fun to drive. The Environmental Protection Agency has estimated that the 2016 Chevy Sonic in Oswego, IL will get over 40 miles per gallon during highway driving and still produces 138-horsepower with 148 pound-feet of torque giving the 2016 Sonic in Oswego, IL more performance than belies the 1.8-liter, four-cylinder engine. While the Chevy Sonic is certainly a fun to drive compact car in Oswego, IL, some of you out there may need a bit more room to work with. Since it hit the market in 2011, the Chevy Cruze in Oswego, IL has been a very popular car that can get 30 mpg in Oswego, IL. In addition to being incredibly fuel-efficient, the 2016 Chevy Cruze in Oswego, IL is incredibly affordable with three trim levels that have a MSRP under $20,000. The base LS trim has a 1.8-liter, four-cylinder engine that can get up to 36 mpg on the highway. While the 1LT and Eco trims come with the turbocharged 1.4-liter, four-cylinder engines that have an EPA fuel-economy rating of up to 35 mpg and 42 mpg respectively. The 2016 Chevy Cruze in Oswego, IL is also one of the safest cars on road with its high ratings in government crash tests as well as in tests done by the Insurance Institute for Highway Safety. If you are looking to save even more money on the purchase of a new Chevy car in Oswego, IL and still save loads of money on gas, then take a look at the 2016 Chevy Spark. This is small hatchback goes a long way on performance as a car that gets 40 mpg in Oswego, IL. The 2016 Chevy Spark in Oswego, IL is all about economy. The car will get you a combined EPA fuel-economy rating of 40 miles per gallon with the available manual transmission and 34 mpg combined with the automatic transmission. With starting MSRPs well under $15,000, the 2016 Chevy Spark in Oswego, IL is an inexpensive car that does not feel cheap. It has a comfortable cabin design that is spacious enough to drive comfortably without the ride feeling flimsy. The 2016 Chevy Spark is certainly an interesting choice for people looking to save money on just about every aspect of owning this fuel-efficient car in Oswego, IL.